The Registered office is the head office for all the sales and marketing activities of the company for Domestic and International Market. It is situated in the Commercial Hub of Ahmedabad city. The office is the nodal point for all our valuable customers & suppliers. Besides Sales and Marketing this office houses Company's finance, accounts, purchase and administration wings with a team of 20 young, enthusiastic and skilled members. The office is fully computerized and equipped with modern communication gadgets. 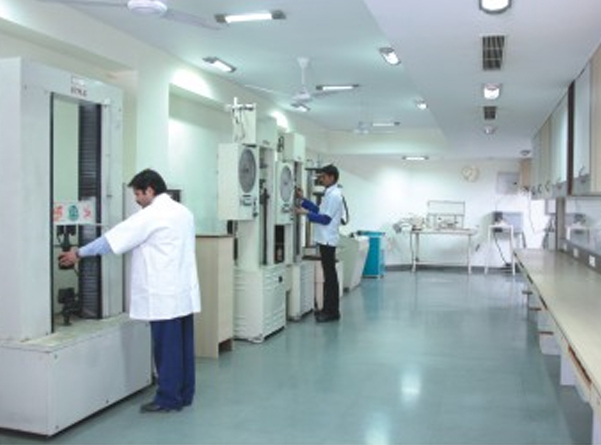 Our state-of-the-art manufacturing Unit at Mehsana, in Gujarat State of India is fully equipped with all necessary machines and facilities to meet our production, inspection, testing and storage needs. Apart from the forceful managerial team and management, we make use of services of more than 100 numbers of skilled technicians and semi skilled workers. With a fully computerized administrative office and centralized purchase. The production and marketing are monitored by the Director himself. 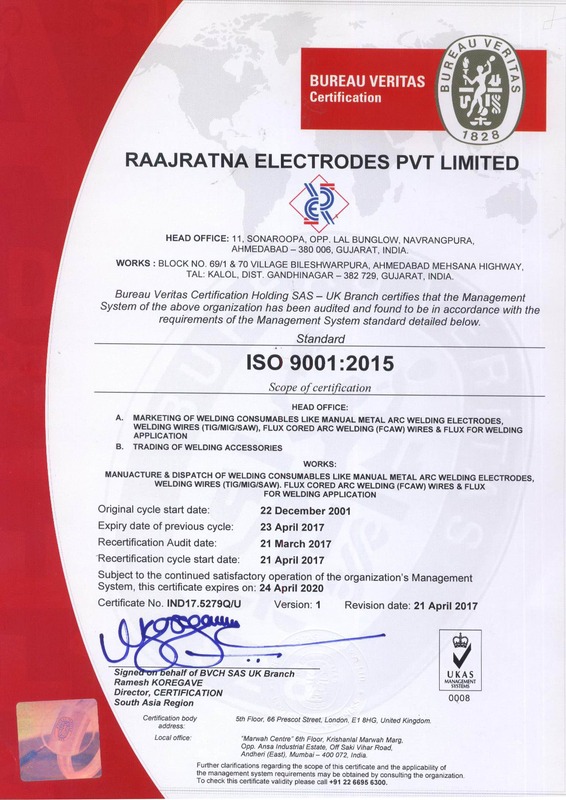 Today, we at Raajratna Electrodes Pvt Ltd. have a formidable team with professionals par excellence and of world-class caliber always ready to undertake new challenges. At the manufacturing unit, we have facility for Welding Consumables. All type of Welding Electrodes. S. S. TIG /MIG & Copper Coated MIG wires (CO2) and are introducing submerged arc wires and flux cord wires. For producing a range of welding consumables, we have an installed capacity of 3600 MTPA, which is likely to go up to 5000 MTPA by December, 2006. 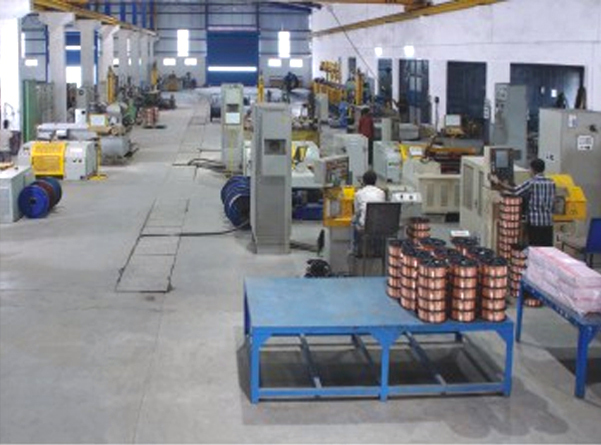 The Plant is equipped with latest Technology and Machineries. The factory has a work force of 100 skilled & qualified employees for efficiently carrying out the manufacturing activity. We are setting separate facilities for production of Copper Coated CO2 (MIG) & SAW wire in bulk quantities, the output from which will commence from beginning of year 2007. The Company possesses an ISO 9001: 2000 accreditation and the in built Quality management system runs through out various wings of the plant namely, Production, Quality assurance, Process control, Packing, Store, Dispatch, Maintenance and House keeping.